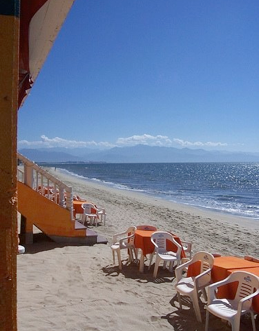 Bucerias (“Place of the Divers”) is a charming and fortunate fishing town at the north end of the magnificent Bay of Banderas (“Bay of Flags”.) 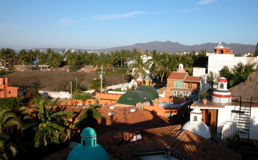 These days the fishermen and their families, as well as many other welcoming local folk, gracefully share their “pueblo” with a growing number of visitors and expat residents who have discovered the wonderful quality of life in this bucolic paradise. 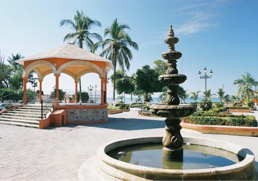 Huge bougainvillea and gorgeous palms line the avenidas, fresh fish and ripe tropical fruits await in the street markets and restaurants, and local shops feature handicrafts from all over the states of Nayarit, Jalisco, and the rest of Mexico. 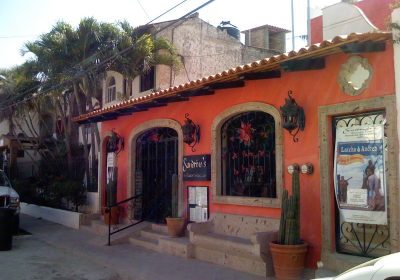 In recent years, the beach communities along the coast in this region (including La Cruz de Huanacaxtle, Punta Mita, Sayulita, San Pancho and Lo de Marcos, to name a few) have become known collectively as the Riviera Nayarit, a nickname that well suits the relaxing and sunny atmosphere here, with its miles of gorgeous beaches.